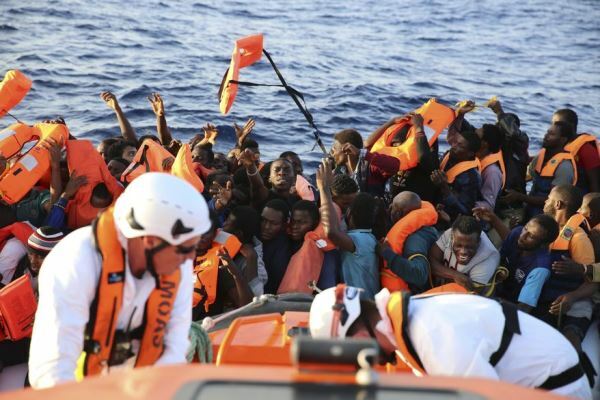 7 bodies of African migrants in abandoned truck in Libya – Royal Times of Nigeria. Officials say they discovered seven bodies of African migrants who died from suffocation after being locked for two days in a refrigerated truck that was abandoned by people smugglers on the Libyan coast. Adel Mostafa, an anti-illegal migration official in Tripoli, said that 28 others, including five women, were rescued on Sunday when the truck was discovered at Garabulli, a town some 50 km east of Tripoli that is a common departure point for migrants trying to cross the Mediterranean to Italy. “We got a call from a civilian who reported that he could hear voices coming from a truck, which he believed contained Africans, based on their language,” Mostafa said. The survivors said they had been left there by smugglers, according to Hosni Abu Ayana, a second official at the Tripoli detention centre to which they were brought. The migrants said the truck driver left the vehicle at the side of the road after unknown gunmen began firing at the tyres. Libya is the main gateway for migrants trying to reach Europe by sea. The North African country slipped into turmoil after its 2011 uprising and migrant smugglers operate with impunity, packing people onto ill-equipped boats that often sink or break down.